The Baldwin chair is big and sturdy. The seat slats are 20 3/4" long. The arms are contoured to give extra space for that "I am the King" feeling. 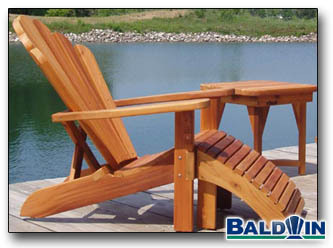 The Baldwin chair is big enough and sturdy enough for any linebacker!